Take Advantage of Our Spokane Parts Specials, Today! If you’ve been putting off important service or avoiding a tricky DIY project, you’re not alone. For many, the biggest obstacle to a more satisfying drive is the price of parts and service! Thankfully, our Spokane parts specials can help you save on whatever you need. Every car owner in Spokane deserves to have a vehicle that they can depend on. Here at Arrotta's Automax & RV, we believe that great performance is the product of superior, reliable parts, and we don’t think you should ever have to compromise on quality. Rather than wasting time with confusing online marketplaces and potentially unusable aftermarket parts, we think it makes sense to start by reaching out to the experts. 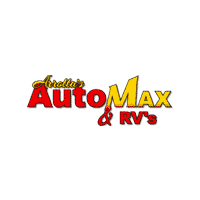 Arrotta's Automax & RV offers a wide variety of parts specials for Spokane drivers, and because of our great prices, drivers from as far out as Moses Lake, WA and Liberty Lake, WA come to us! Not seeing the parts you’re looking for? Contact our team with any questions you might have, or order the parts you need online, today! When you’re ready, scheduling your service appointment only takes a few minutes.